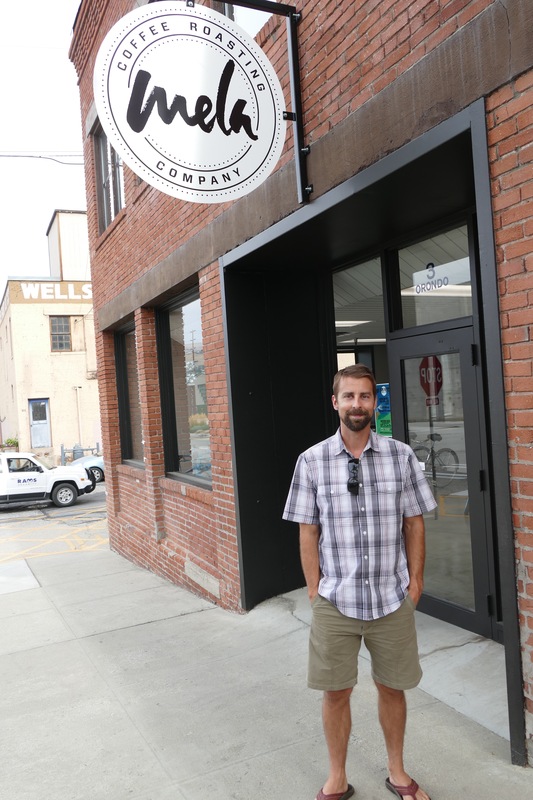 Kyle Hendrickson and his team at Caffe Mela are taking their business to the next level with a major expansion. 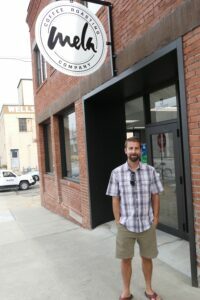 They’ve opened a 4,000-square-foot roasting and shipping facility at the Corner of Columbia Street and Orondo in the space that once housed Silkscreen Printers, a move that will allow them to aggressively market their coffee blends over the internet and expand the number of retail customers that they serve. Hendrickson and his wife Ann bought the business two and a half years ago from founder Darren Reynolds. He’s educated himself on the nuances of coffee roasting and the business of running a café and servicing wholesale and retail customers. But the previous roasting facility, in the basement of the Caffe Mela store on Wenatchee Avenue, was far too small to increase production. 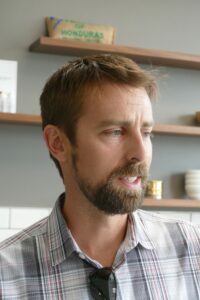 The new roasting and shipping space has been completely remodeled and boasts a cupping room, where roastmaster Brian Bailey goes through a several-step process of evaluating the aroma and flavor profile of coffee beans. The cupping room at Caffe Mela’s roasting facility is on the Orondo St. side with a picture window that allows passers-by to perhaps catch Bailey working his magic. The cupping process is a key step in helping customers who want a coffee blend for their restaurant that brings out the flavor of their food. Campbell’s Resort in Chelan has its own 1901 Blend. 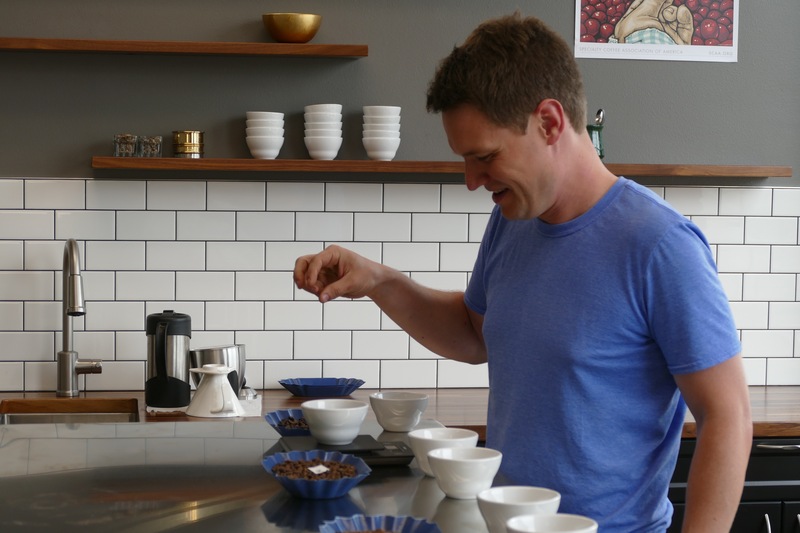 Searching for the right coffee experience started with a cupping and the leadership team went through a process of systematically narrowing down choices until they found the blend they wanted. Other customers who have looked to Mela to help them develop a specialty blend include Mountain Springs Lodge in Plain and Cave B Estate Winery near Quincy, Hendrickson told me. Hendrickson told me there are about 800 unique aroma and flavor combinations possible with coffee — substantially more than wine. Selling coffee is a relationship business, Hendrickson acknowledged, and he said it’s pretty special when business owners like the Campbell family in Chelan develop a sense of ownership in the unique flavor of the coffee served there. Maintaining consistent quality for specialty customers is quite a trick, because even coffee beans from the same source will vary from year to year. Matching the flavor profile is Bailey’s challenge as he tests roasting beans at different temperatures to winnow down the choices to the best option. One of the tools they’ve started using is a refractometer to test the total dissolved solids in a coffee sample. It’s similar to how cherries are tested for sugar content. The new roasting and shipping operation has plenty of space to fulfill orders Hendrickson said in their previous space, handling three or four orders a day was a logistical challenge. Now that they have the capacity to handle additional sales volumes, the focus will be on developing a market strategy to increase volume. Other changes are being made, as well. 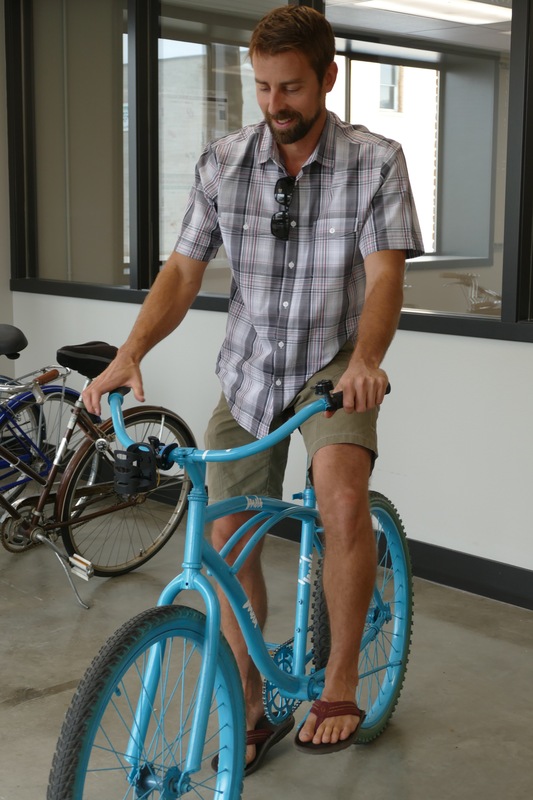 They’ve acquired some old bicycles, painted them blue and affixed coffee cup holders on the handlebars to allow staff members to travel between the roasting operation and the café. If he can get the liability issue worked out with his insurance guy, he would love to make the bikes available to Mela customers. The company is also launching a new web site and offering a discount code that’s good until Halloween for 10 percent off. The code is melalaunch10%. Kyle Hendrickson in front of the Mela Roasting and shipping operation on Orondo St.